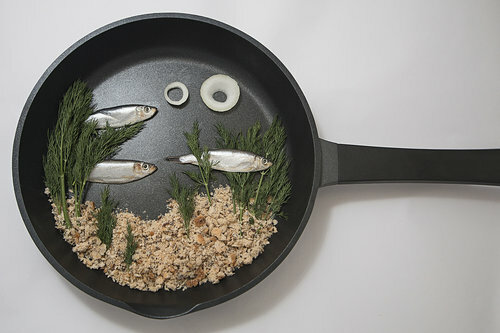 'Frying Pan Aquarium' by Paul Steven - DPC Prints! A collage of ingredients in a frying pan. This photograph originally appeared in the Fish Challenge.